Infrared thermal imaging is a very useful tool for the screening of large numbers of genotypes varying for stomatal traits, specifically those related to salt tolerance. Indeed, there is a relationship between direct measurements of stomatal conductance and leaf temperature of plants grown in high-salinity conditions, indicating that thermography accurately reflected the physiological status of salt-stressed plants. 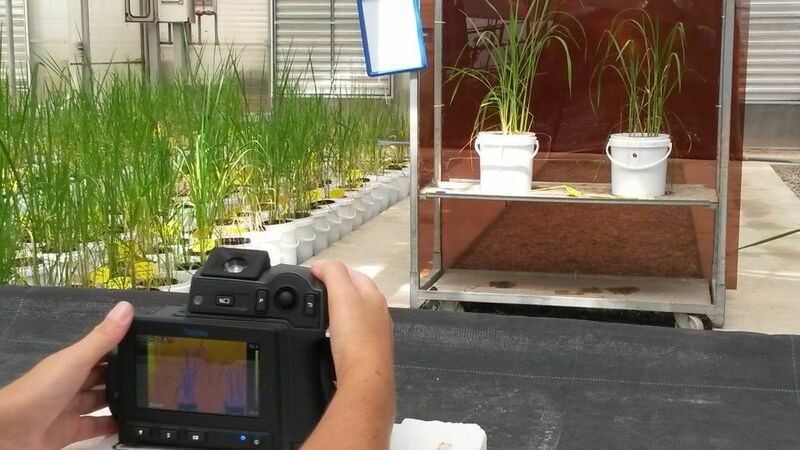 In NEURICE project, UMIL group is performing thermal imaging on rice plants during tillering stage using a semi-automated long-wave infrared cameras system. Leaf temperature differences between control and salt-treated plants will be used to analyze the stomatal responses and the presence of stress-related symptoms of the analyzed rice genotypes.